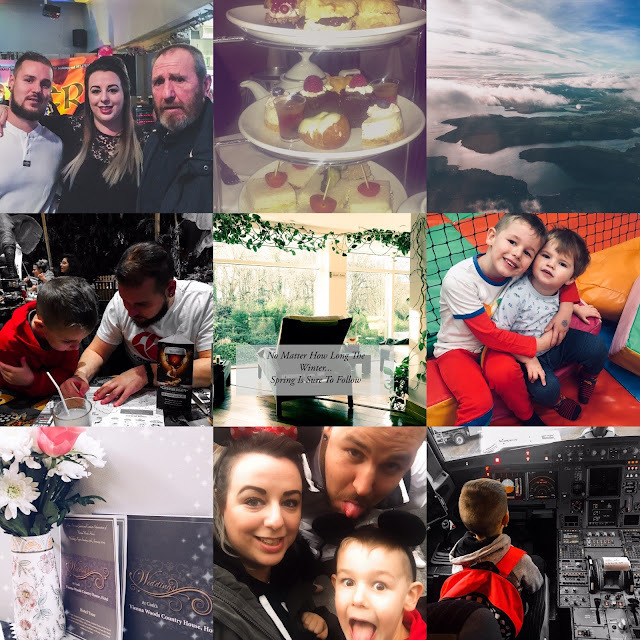 In keeping with my aim for 2019 to remain on a positive note, as hard as that can be sometimes, I've decided to do a recap of each month and log the things I'm grateful for, no matter how small - one of mine for January is having all the washing washed dried and put away before I sat down one Sunday evening - I can't tell you how annoying I find it to have to deal with washing mid week and always hope to get it done over the weekends, some weeks I succeed others I don't. 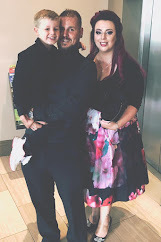 There's actually a section in my 2019 diary that has a monthly gratitude section so that prompted me to writing it over here on the blog too. January was actually very good to us, it's a usually a month of catch up and extreme budgeting after Christmas but we were a lot better off this year than we had been in previous years. I think we were conscious of the fact that we were going away 2 weeks after Christmas and kept a closer eye on the finances rather than the usual frivolous spending in the post Christmas sales. Disneyland, Paris - Obviously the highlight of our month! This was our first family holiday, Luke's first holiday, his first time on a place etc so it was special in so many ways. We weren't in a position before now to book this holiday and considering the cost of a holiday I wanted to wait until Luke was of an age where he wold remember it for years after. I'm going to do a post about it, eventually but we felt very grateful to be able to bring our little boy on such an exciting first trip away. Panto - Aladdin - We were no sooner back from Disneyland and we were off to the panto in Cork Opera House. This year's panto was Aladdin and it was brilliant, plenty of laughs for kids and adults. I'd intended on bringing Luke to the panto this year and hoping to make it an annual thing but with the holiday as well I just never got around to it so we delighted when a friend of mine had some spare tickets and offered them to us. I'd highly recommend going. Birthday Celebrations - January is the month of my birthday, wouldn't be the month I'd have picked for myself but sure what can you do?! I actually had a lovely birthday this year, it was nice and quiet and spent with family and friends. I got my hair done, nice gifts - a Pandora ring in particular that I had been admiring a couple of months ago and the OH took note and got it for me, went for afternoon tea in Vienna Woods, the night of my birthday I was actually at a party of a family friend in the local village pub. I went with my Dad and OH and we had such a good night, it was great to spend some quality time with my Dad too. Spa Day - My lovely friend Fiona of Dolly Dowsie treated me to fab spa day in January. we made appointments in Fota Island hotel for a full day spa package which included a full body massage, a facial, a bath treatment, time in the pool and thermal suite and lunch and it was just what we both needed. We'd been trying to organise this spa day for ages but it finally came to fruition and we've said we'll try to make a semi regular thing, or at least not leave it so long before we do it again. Wedding Planning - For some reason we got the urge to start planning our wedding. Up until now it just never seemed like the right time to start planning it, honestly I was a bit overwhelmed by the whole planning process but we decided to get the ball rolling this month and went to one venue, we have another to check out as well but we had to cancel our viewing there last week as Luke was sick so we'll try and lock that down in February. We are grateful that now we are in a good place, head space and financially wise that we can start thinking about this. New Job - Not for me unfortunately but for the OH. He finally got a job with a company that he had been applying to for the last 12 months, they get a lot of CV's but thankfully this time around he was successful and he got the news Christmas week that he would be starting mid January. This job gives us a bit more security with a couple of added perks and honestly it was just what we needed to hear and so far so good for him. He was working 3 jobs at one point and to be able to focus on the one now is so much better for him and us as we have him at home a bit more. We are truly grateful for this this month! Clear Out - We finally got around to getting a skip bag and doing a bit of a clear out, it's amazing how much stuff you accumulate over the years. The skip bag got collected the other now I just need to reorganise everything now I have a bit more space, storage space more than anything but clearing out the house helps to clear out my mind too so double the benefit! Family Time - I finally managed to get a couple of days to spend quality time with my godson. A she usually goes to his Dad's on the weekends when I'm off I rarely get to see him properly but we had a lovely day together this month and I love seeing him and Luke interact and strengthen their bond. I'm so grateful to have these 2 awesome little boys in my life. So yeah January has been pretty good to us, busy but good. There's some pretty big things in the list above and I am aware that not every month will be that exciting but it's all about finding the positive in everyday and being grateful for what we have - be it a family holiday or just being able to wake up in the morning and feel like you can face the day. I'm looking forward to a quieter February although the pace doesn't seem to be slowing down just yet! Great perspectives and lists of your outdoor plan. It looks significant plan and experience and this gives some sort of ideal thing to the brehon hotel killarney special offers who also provide an efficient service in terms of spa treatment.